Heat butter in a heavy-based saucepan, add onion, and sauté until translucent. Add butternut squash and peppers, and sauté for another 5 minutes stirring occasionally. Add flour, curry powder and nutmeg and mix well. Add the 250ml water and stock powder, bring to the boil, stirring gently. 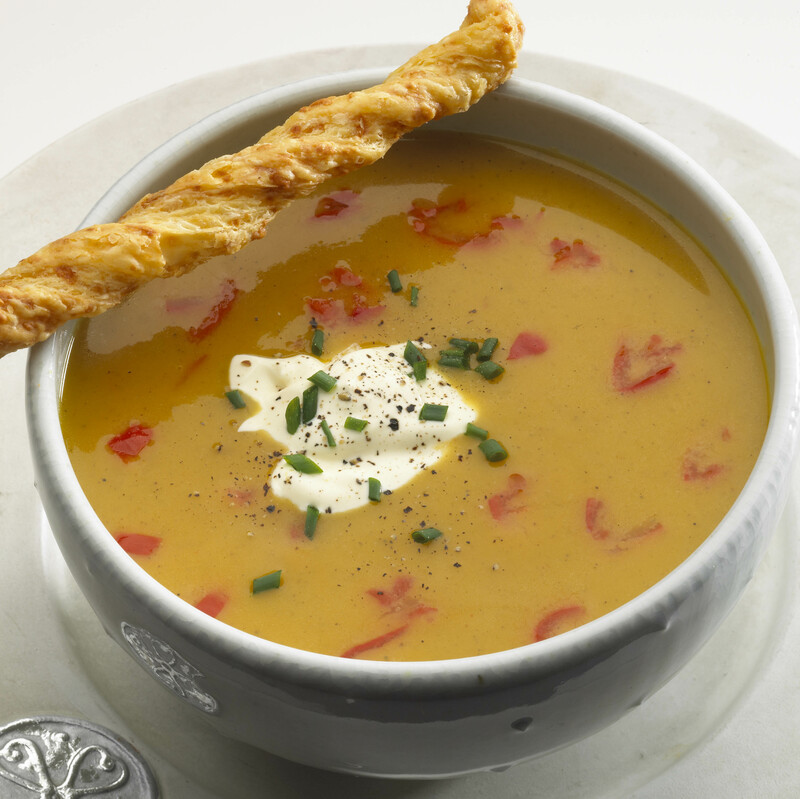 Reduce heat and simmer for 15-20 minutes or until butternut squash is tender. Cool and pour into a food processor. Blend until mixture is smooth, then return to saucepan. Add the milk, additional water, salt and black pepper. Bring to the boil, stirring occasionally, reduce heat and simmer for another 5 minutes. Remove from heat and place in refrigerator to cool. Serve chilled with a sprinkle of chopped chives and a dollop of cream. If you only need half an avocado, leave the stone in the other half and refridgerate. This will prevent it going black. When you want to use, remove stone and thin skin which will form over otherwise green flesh.